"It is very important to develop the independence of anti-corruption bodies." 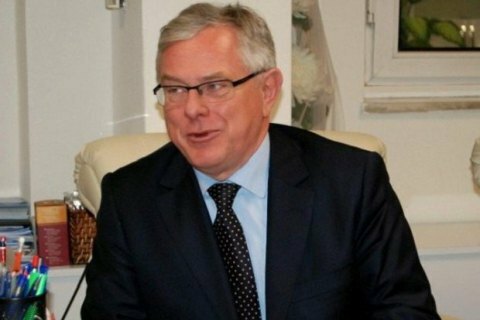 The Ambassador of Denmark in Ukraine Ruben Madsen believes that corruption remains to be a serious challenge for Ukraine and emphasizes the importance of combating this phenomenon. "Some progress has been made, but corruption still remains a serious challenge, and much remains to be done. I want to emphasize that it is very important to develop the independence of anti-corruption bodies and it is also important to approve the verification of e-declarations, which is currently inadequate," the ambassador stated at a conference in Kyiv on Monday, Interfax-Ukraine reports. Madsen also noted the important role of the National Anti-Corruption Bureau of Ukraine in the fight against corruption, including in the military sphere. "We, the EU allies, are convinced that by helping Ukraine in the fight against corruption we help it to get closer to economic prosperity.". The human rights watchdog Transparency International considers the customs and State Financial Service the most corrupt bodies in Ukraine.